This butterfly has not been photoshopped. It is exactly half male and half female, a very rare condition known as gynandromorphy. This results in the dramatically different coloring on each half of the animal in species such as this one, in which the sexes have noticeably different looks. 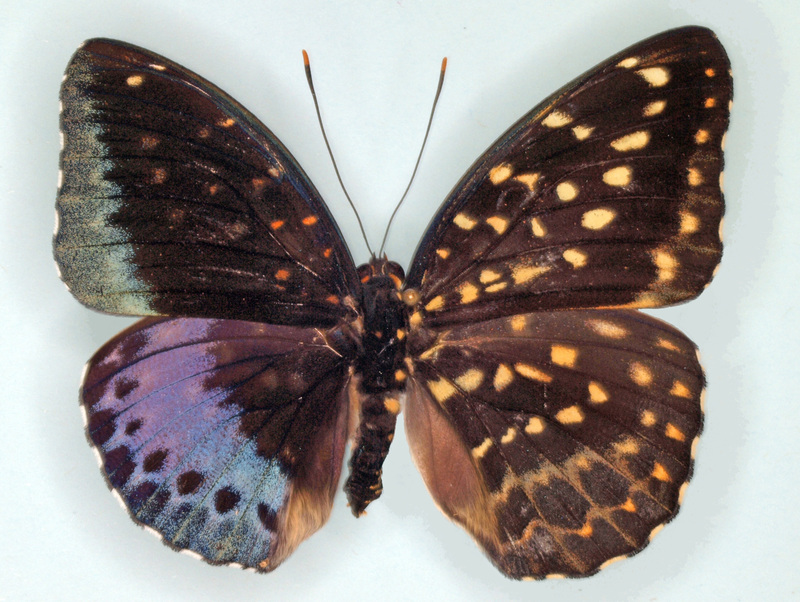 The gynandromorph butterfly was found by chance in the Butterflies! exhibit at the Academy of Natural Sciences of Drexel University this fall and has now been preserved as part of the Academy’s entomology collection. It will be on public display for a limited time at the Academy, starting Jan. 17. To learn more about gynandromorphy and the discovery of this rare butterfly, read the Academy press release and Philadelphia Inquirer article.